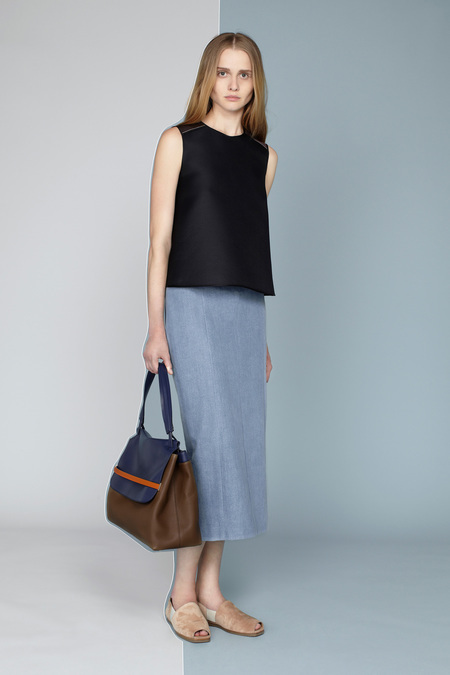 I just had to post my favorite looks from The Row Resort 2014 collection, which are quite a few. As you know by now, I am a huge fan of theirs (and their personal styles as well). 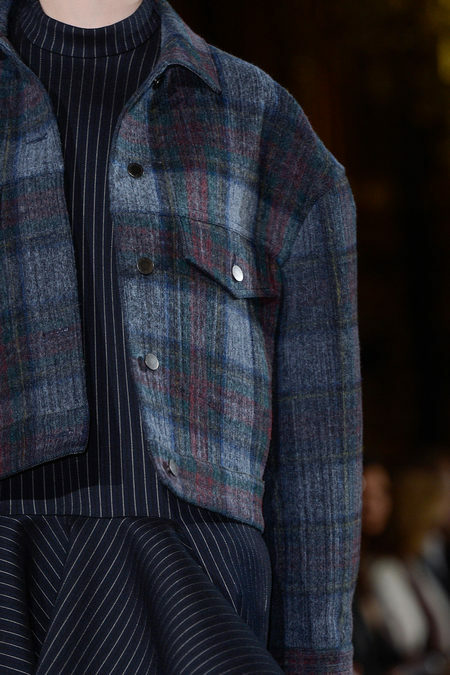 As always The Row delivers. I love the hues and the colors, canvas-beigen, olive green, navy, light grey, and the up and coming color (that not only The Row showed, but also Stella McCartney and Louis Vuitton) — light yellow. 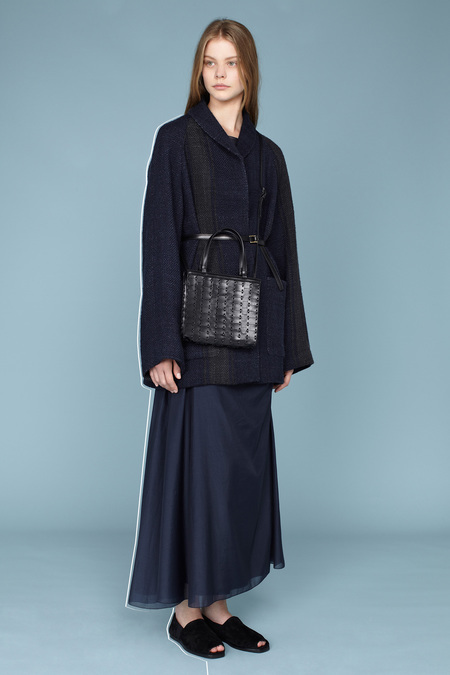 For this Resort line, Ashley and Mary-Kate Olsen said they were looking at uniforms — of sailors, of Japanese workers, of school children — for ideas this season. The thing about the Olsen twins is that they have this amazing eye for fabrics. They make pieces out of the best of the best materials and combine these in beautiful set-ups, like satin and denim, cashmere and canvas. As we can see they stay put to what they love and believe in. For an example they have always highlighted the flats, ever since The Row’s very beginning. 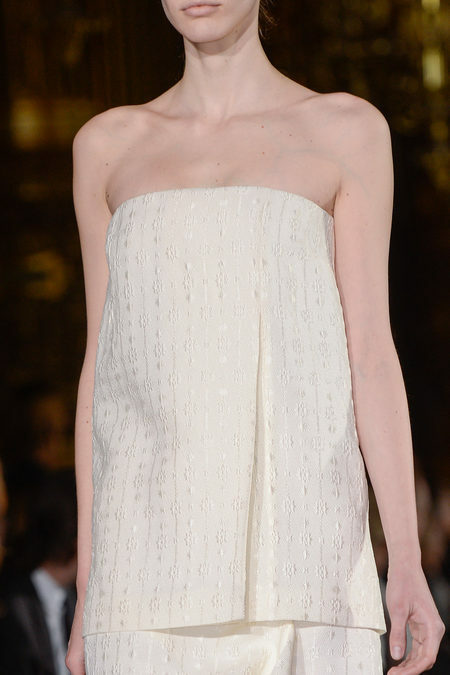 And of course, it is implemented in this collection, as well as the semi-long and ankle-long skirts. Well, it is true love as always. 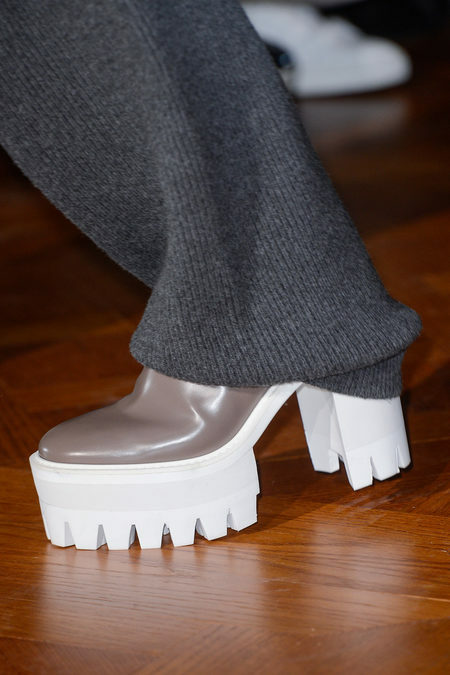 The Céline slippers are seen everywhere – in editorials so to speak. In Russh Magazine Spring 2013 Julia Nobis is styled by Gillian Wilkins in the talked-about shoe. I picked out some pictures from the spread above and I just love the last look – a white Stella McCartney S/S13 dress styled with delicate gold jewelry and of course, the gold embellished slippers from Céline. The editorial is photographed by Benny Horne. 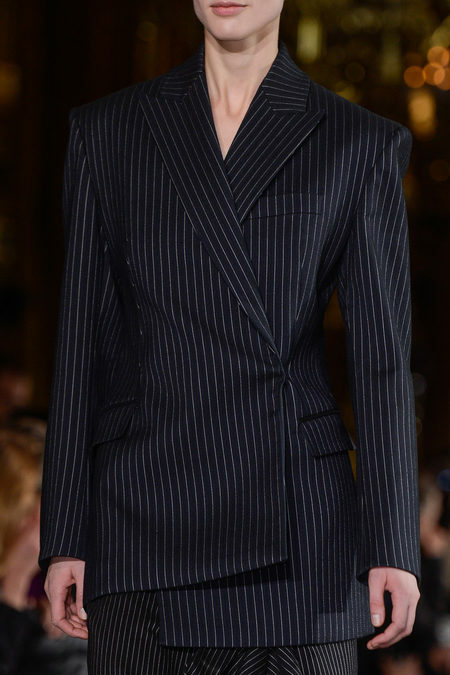 Stella threw an amazing presentation for the launch of her pre-fall 2013 collection, and it was not her first time she did a happening like this. The show turned into a small party with a selected group of people invited where the models mingle with the crowd. Anyway, her pre-collection for this fall looked nice. I am not head over heels in love, but there were a couple of pieces that I liked. 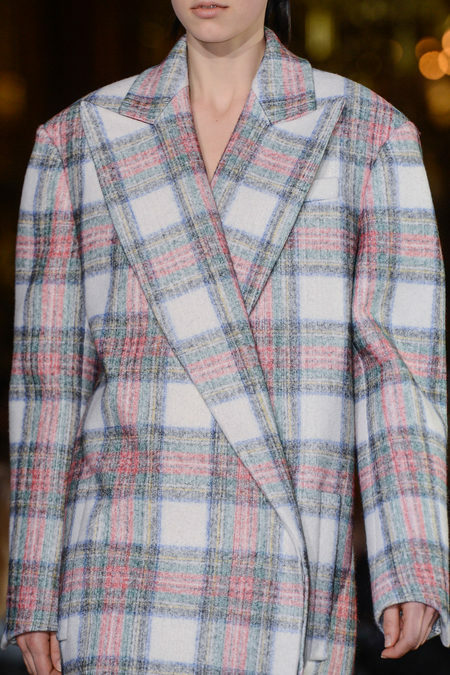 Stella is amazing when it comes to coats. The navy and black blocked coat was stunning, as well as the blue/turqouise one in a slighter more different proportion compared to what she use to do. Her strenght is within the suits and the navy two-pieced suit with gold buttons is a perfect example of that. 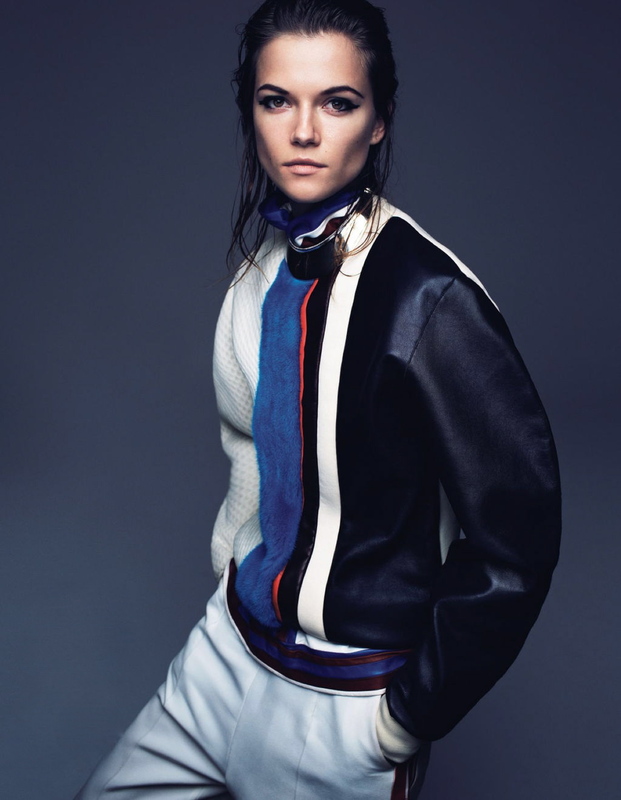 For Vogue Japan December 2012, Steven Pa has photographed Kasia Strauss for the editorial ‘A Big Time Story’. The feature, which is styled by Vanessa Traina, is full of statement pieces from the Fall and Winter 2012 collections, like the short tweed jacket from Stella McCartney, the famous pair of lace-up heels in white and navy from Balenciaga, the block-coloured Céline pullover and the red satin Haider Ackermann long-sleeved top. I like the editorial a lot, but I feel quite fed up at these pieces for the moment. Especially since we have seen them in almost every magazine during the fall. Looking forward to Resort and Spring 2013, and not one moment too late! Here is a little gift guide for some fashionistas! 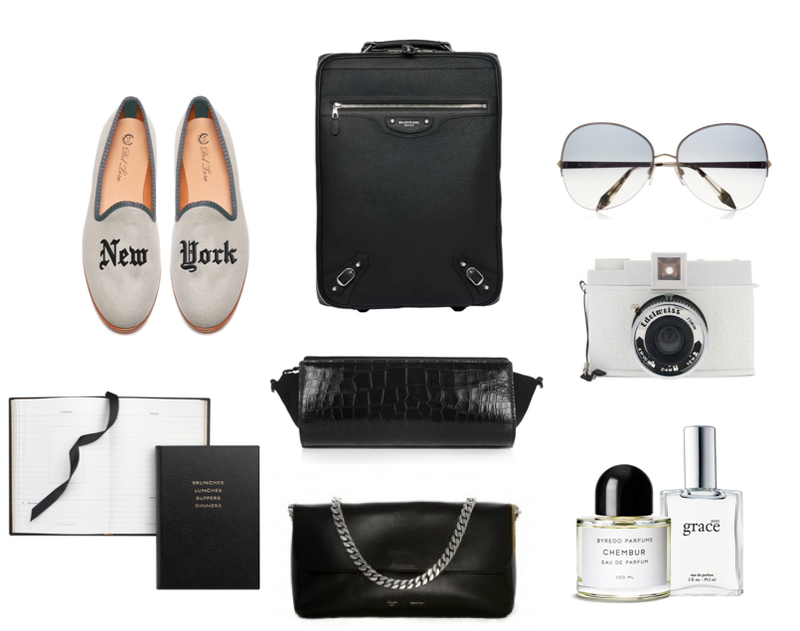 For the fashionable jet setter: Del Toro ‘New York’ slippers in light grey suede, a Smythson note book called ‘Brunch Lunch Suppers Dinners’, a Balenciaga travel luggage bag, a croco embossed cosmetic bag from Alexander Wang, the most goregous shoulder bag right now – from Céline, a pair of hippie stylish sunglasses from Victoria Beckham, a camera from Edelweiss and some fragrences – these ones comes from Byredo and Grace. 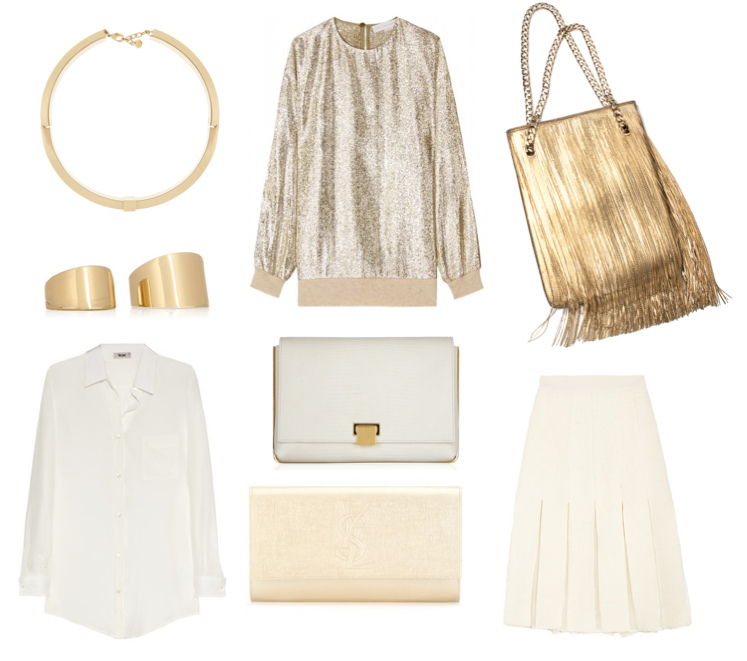 For the golden girl: A golden choker from Chloé, set of gold-tone rings from Maison Martin Margiela, a sheer blouse from Acne, a golden jersey from Stella McCartney, a lovely reptile clutch from The Row, a YSL clutch called ‘Belle de Jour’ (with the old monogram), a super duper lovely fringe bag in metallic from Givenchy and a pleated skirt in creme from Giambattista Valli. Wow! 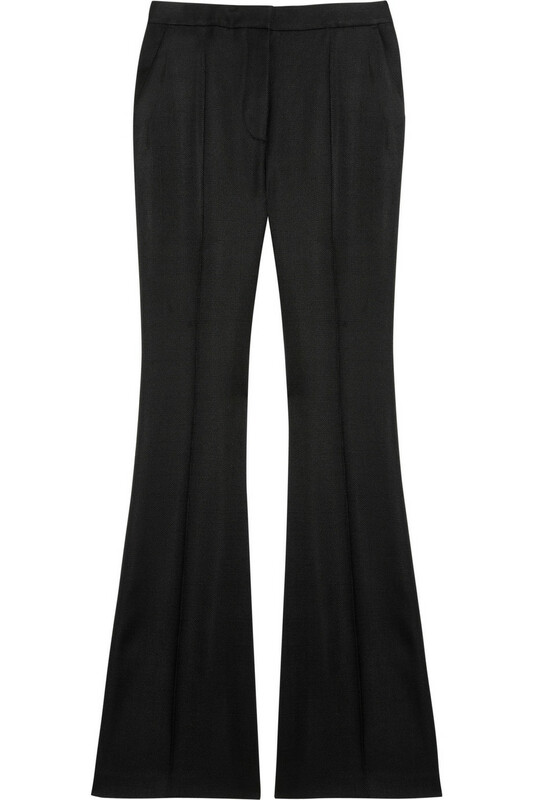 I totally dig these Stella McCartney Carlton high-rise woven pants from her Resort 2013 collection. I love that they are flared, and I’ve actually been looking for a pair in black! There are tons of denim ones out in the stores, but no really cool pair of black trousers. 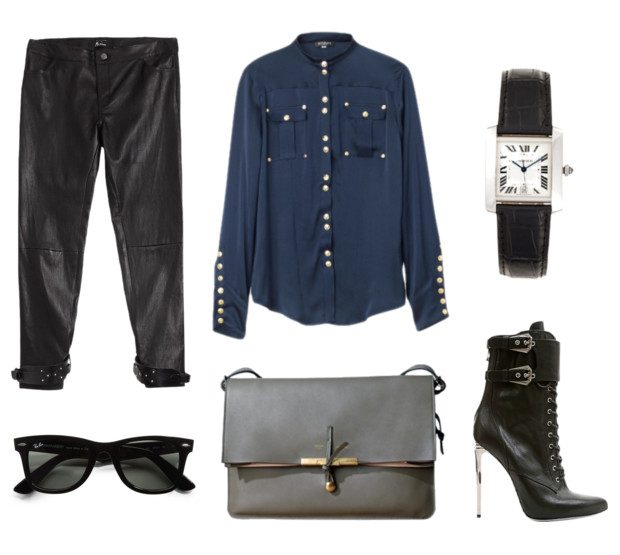 Love to style them with a oversized wool sweater and a pointy pair of heels. Hotness! 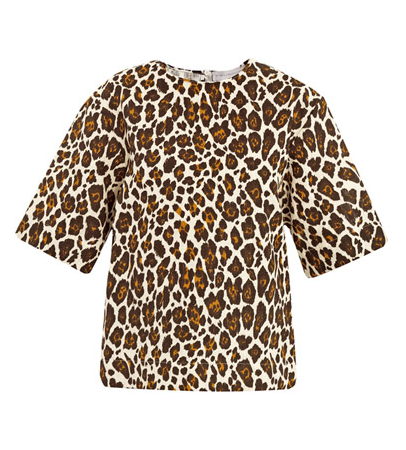 The Stella McCartney leopard pieces from her Resort collection 2013 has just hit the stores. 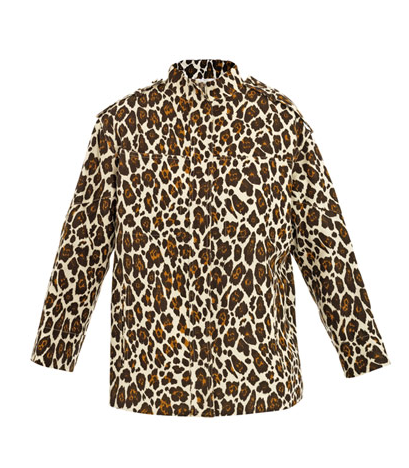 Go get the leopard here! Super cool stuff, really. But I think I would get tired of them immediatley, especially since the leopard prints pieces has already gotten so much publicity everywhere, mags, blogs, events…. Love the things though. But I would wanna wear it all together, the top with the jacket AND the trousers!